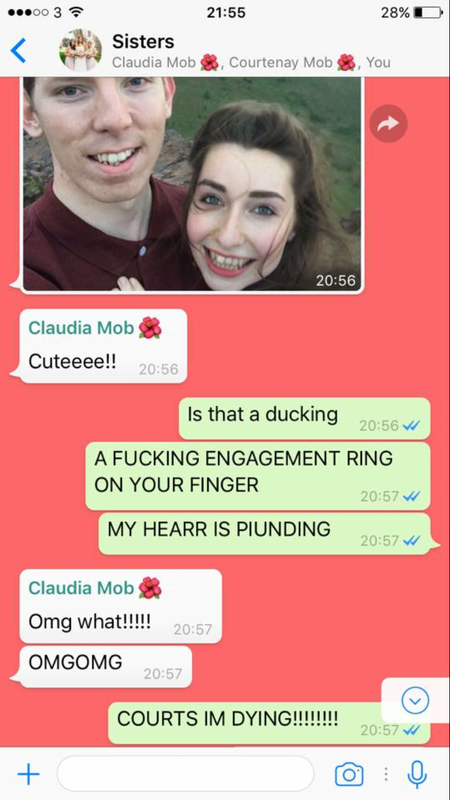 So as most of you will be aware, I got engaged a couple of months ago. 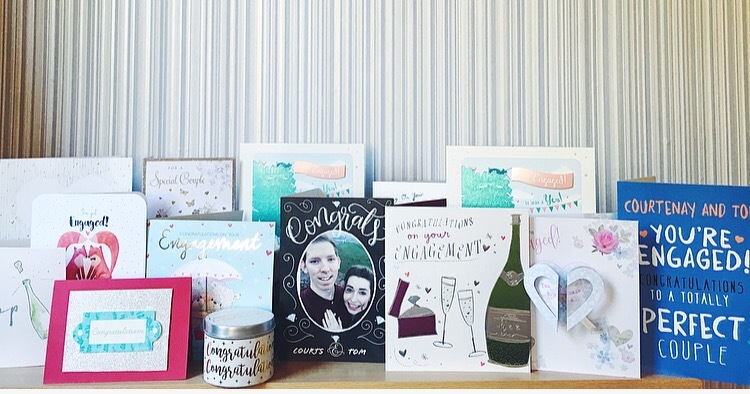 It’s made me want to do a new series on the blog, my ‘Wedding Diaries’ and I thought what better place to start than talking all about our engagement. Please let me know what you think about this post and the idea of the series, as I love to know what kind of things you guys love to see. So, firstly – how did he do it?! 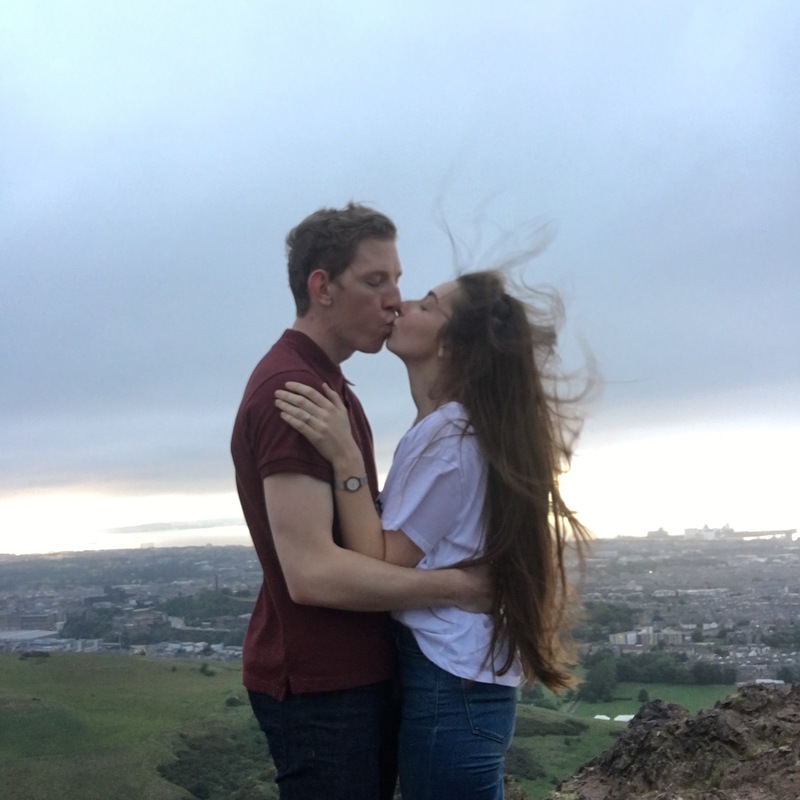 Well, we were on a mini-break away to Edinburgh for my 26th birthday. 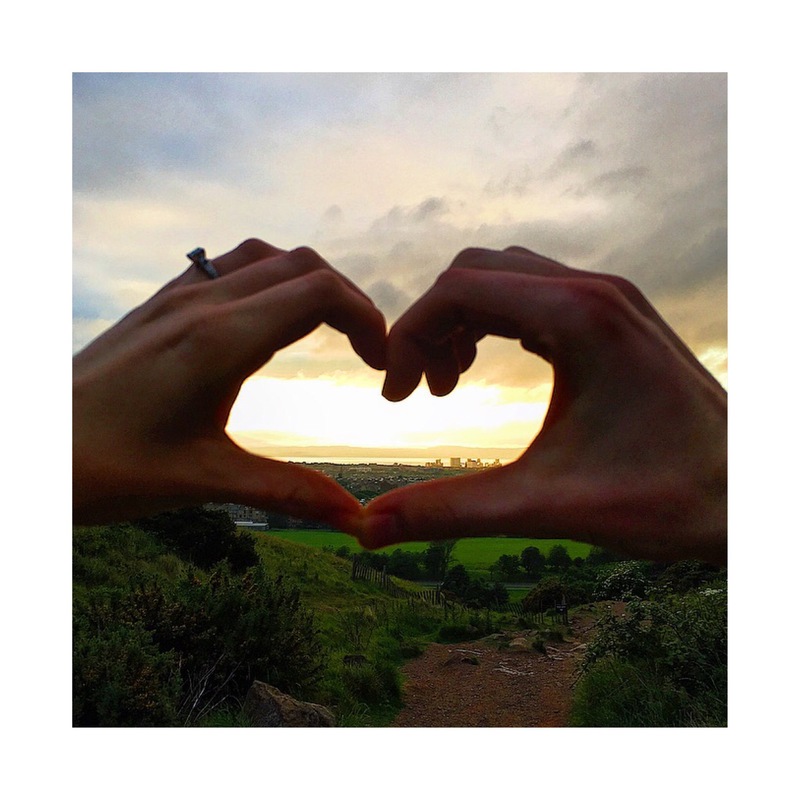 On the Friday before my birthday, we’d planned to trek to the top of Arthur’s Seat for sunset, so that we would get the most amazing views of the city. Little did I know when I took this photo at the very bottom, that I would be getting engaged, at the very top!! I’m not going to lie, at times I didn’t think I would make it to the top and Tom was saying ‘you’ll make it, even if I have to carry you!’ Little did I know why he was saying that at the time! 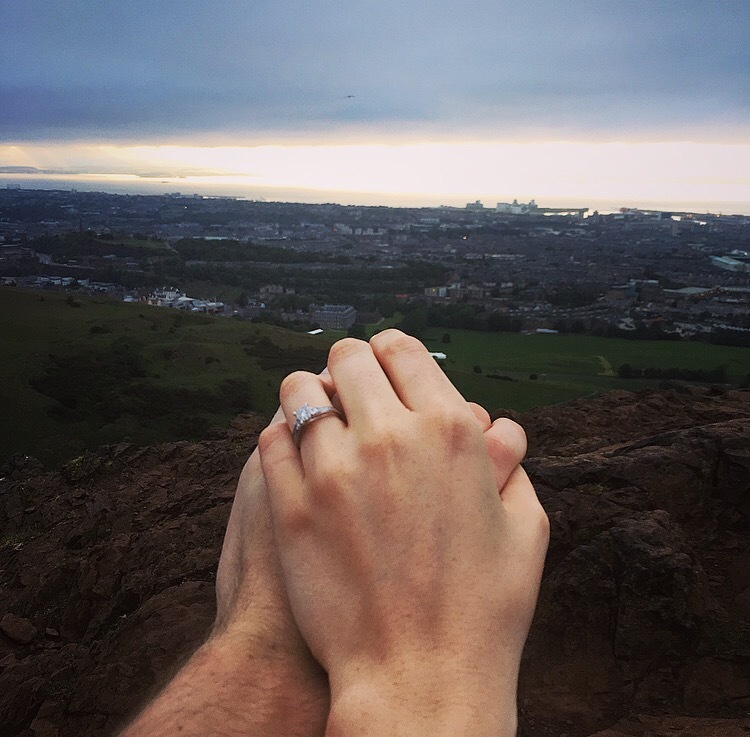 So we got to the top and I was taking in the amazing views of Edinburgh and before I knew it, my love was down on one knee with a ring in his hand. I was genuinely SO shocked! 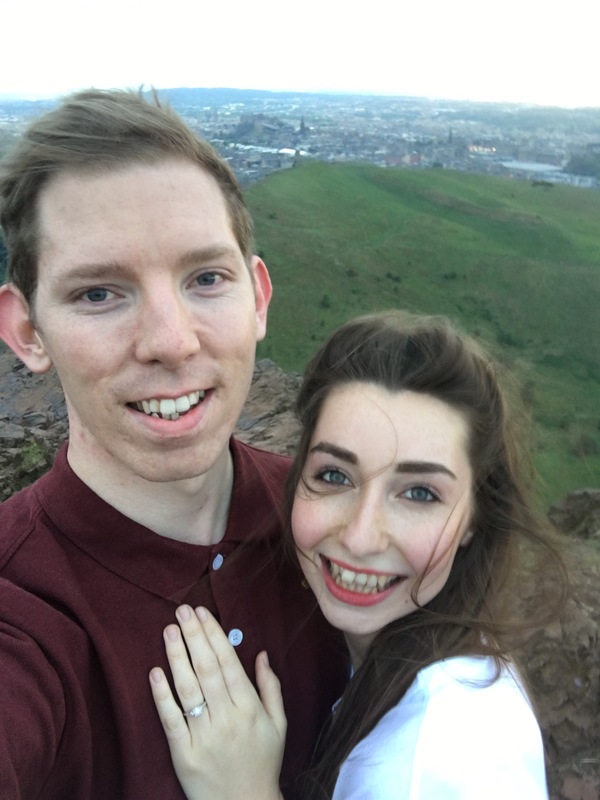 We had always talked about getting engaged but not for a few years, so it really was not on my mind or expected in any way! I think my first words to him were actually ‘are you for real’?! But of course, I said yes to marrying the love of my life. I had to put this section in here because I want to share some of my favourite reactions. 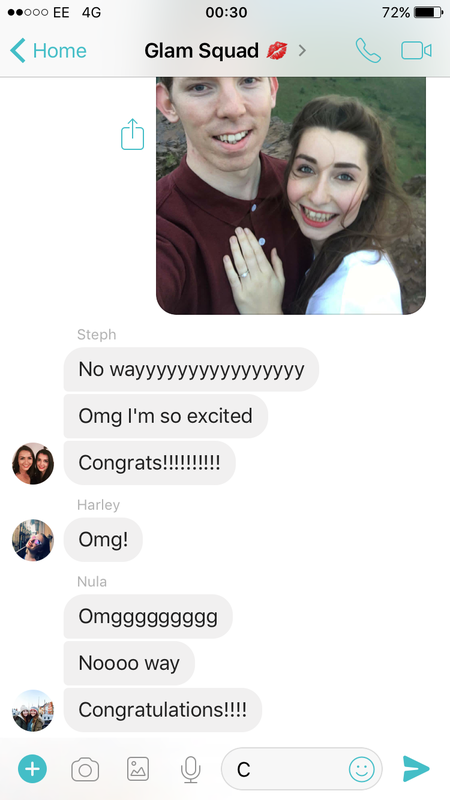 It wasn’t just a surprise for me, but everyone else too, nobody expected it! (Apart from my mum, dad, step dad and step mum of course, as Tom was a gentleman and asked permission to marry me). Claudia was oblivious to the ring on my finger but Chloe noticed it HAHA. 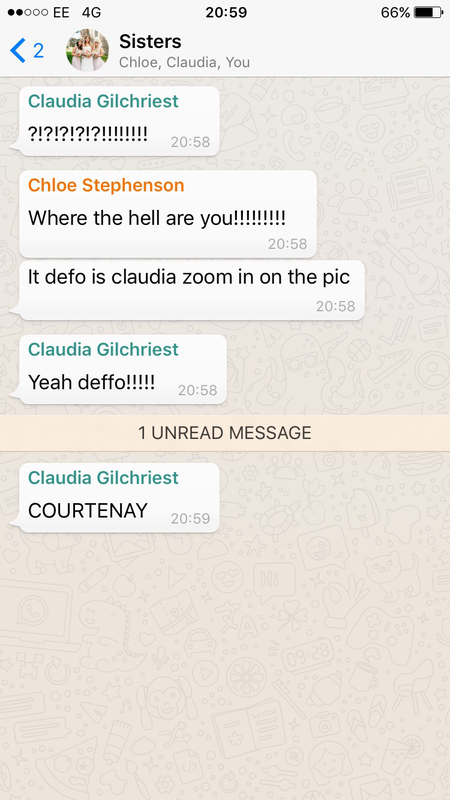 They literally bombarded me so much my whatsapp broke and the text box for me to reply actually disappeared! 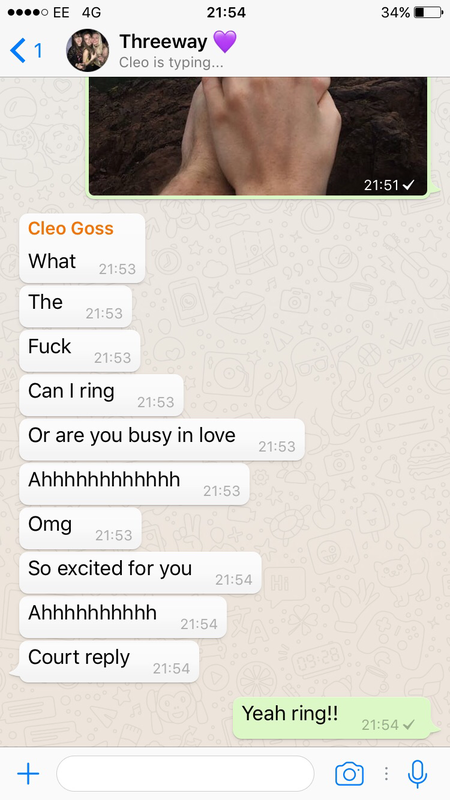 Cleo’s message is so funny I had to keep it forever! Leanne’s came a little later so I didn’t think to screenshot it which is annoying now as I wish I had! Obviously The love and kindness that we have received from ALL of our friends and family has been insane and we feel so blessed. Happy Sad…is that even a thing? I was crying yet smiling! Honestly, it felt like I’d just downed a cocktail of emotions! There was a bit of everything: I was happy, excited, scared and I just couldn’t stop crying! My body rushed with this warming sensation and I can only explain it by saying I was the happiest girl alive in that moment. It was incredibleeeeeeee! Quite a few things do actually!!! 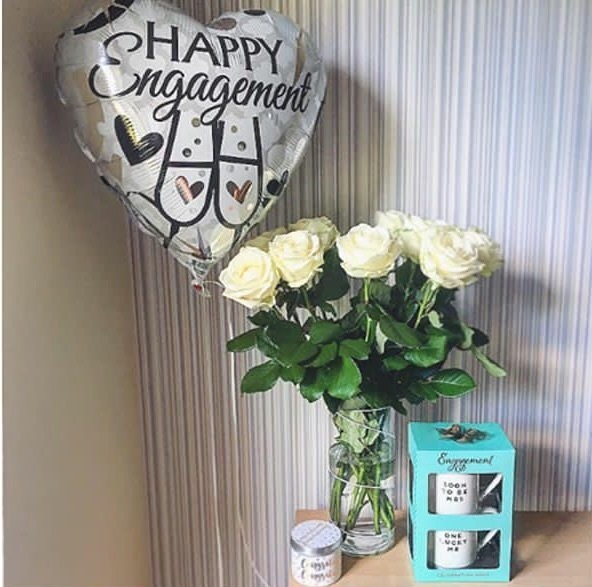 Firstly, calling Tom my fiancé instead of my boyfriend feels very different and I still struggle with it now, two months later! Not to mention the daily worry of wearing such an expensive ring on my finger – especially the panic when I take it off and forget to put it back on straight away. That’s another thing actually! Having to get used to constantly wearing a ring on my finger. I’m not someone that wears jewellery daily so that felt really strange to begin with although now I am pretty much used to it and I notice more when I haven’t got it on now. I have silly other constant worries too. Like do I keep it on to wash my hands and when I shower?! What about when I do the washing up? Were all things that crossed (and still do cross) my mind. Like, I don’t know what is ‘normal’, although I guess everybody is different in what they do. 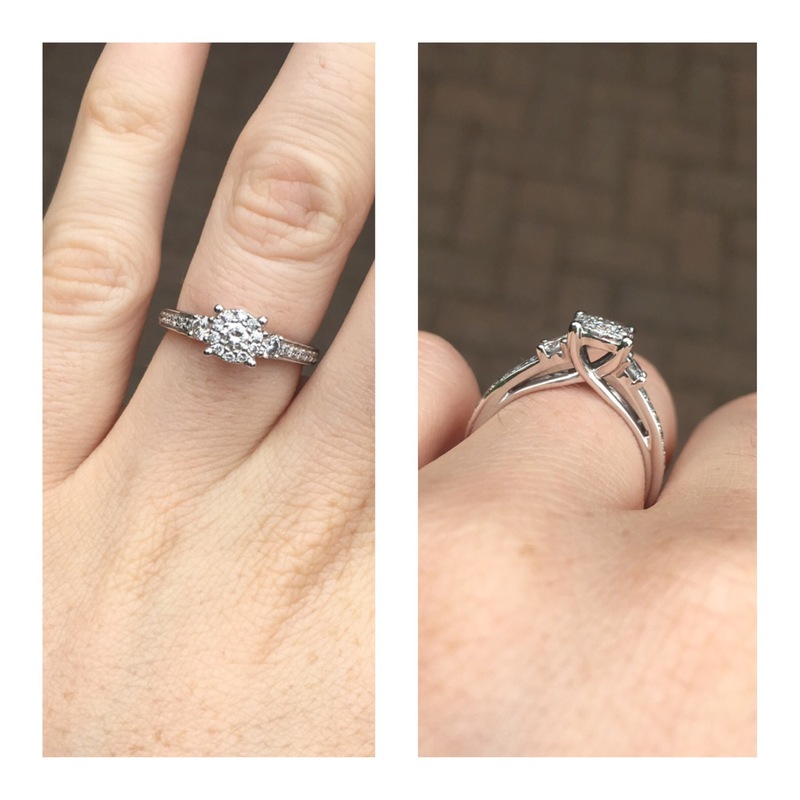 The most beautiful ring I could ever ask for! Relationship wise, I do feel like there is an even more special, stronger bond between Tom and I. When he calls me ‘the future Mrs Rawle’ my heart feels like it’s skipping a beat. It’s insane.